CE Tech Component Video Cable lets you connect video equipment over long distances. The shielded design provides high signal transfer and superior quality. For use with TV, DVD, DVR, satellite receiver and other video components. 12 ft. cable length. Leviton has a pre-configured structured cabling panel to fit any application.Use the panels as they are, expand with easy snap-in expansion boards, or combine with other panles or stand-alone modules to create a structured media solution tailored to your specific needs. 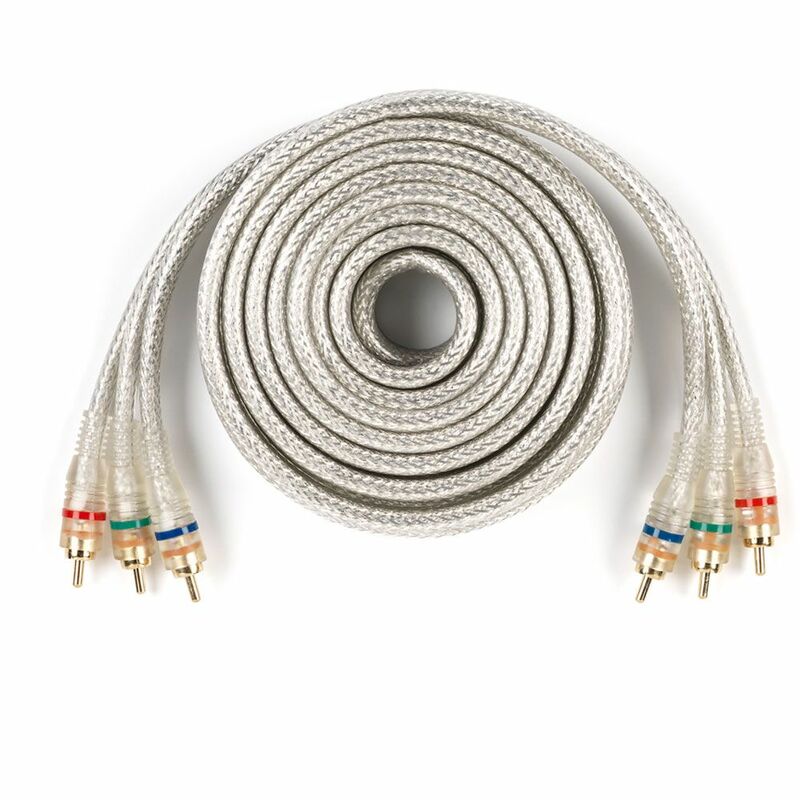 12 ft. Ultra Prodgrade Component Video Cable CE Tech Component Video Cable lets you connect video equipment over long distances. The shielded design provides high signal transfer and superior quality. For use with TV, DVD, DVR, satellite receiver and other video components. 12 ft. cable length.